SIFMA’s leadership brings together a diversity of expertise from both the private and public sectors. Mr. Bentsen is President and CEO of SIFMA. Mr. Bentsen is also the CEO of the Global Financial Markets Association (GFMA), SIFMA’s global affiliate, and Chairman of Engage China, a coalition of 12 U.S. financial services trade associations united in support of high-level engagement with China. Previously, Mr. Bentsen served as President, and earlier as the Executive Vice President of Public Policy and Advocacy for SIFMA, responsible for SIFMA’s legal, regulatory, and legislative affairs and advocacy initiatives. Mr. Krasner is the Chief Financial and Chief Administration Officer for SIFMA. He joined the Association in October 2008. Mr. Krasner brings nearly 25 years of experience in finance, audit, business management, and administrative services. He is responsible for SIFMA’s finance, technology, human resources, and facilities management functions. Prior to joining SIFMA, Mr. Krasner held finance positions at both UBS and JP Morgan Chase specifically in the areas of Fixed Income Finance, Asset Management and Corporate and Administrative Services. Additionally, he worked for the Securities Industry Association – the predecessor association to SIFMA – from 1995 to 1998. 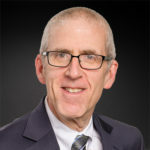 Prior to positions in the financial services industry, he was the controller of an application development firm as well as an auditor at the accounting firm of JH Cohn and Company. Mr. Krasner, a CPA, holds a BA in Economics from Rutgers University. 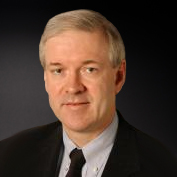 Mr. Chiarelli is Executive Vice President, Head of Conferences and Events at SIFMA. He brings an extensive background in building brand experiences through meetings and event management, sales, sponsorships, and marketing. Additionally, he is responsible for SIFMA’s Societies functions. 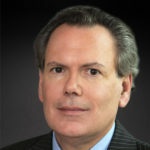 Prior to joining SIFMA, Mr. Chiarelli served as Conference Director for The Risk and Insurance Management Society (RIMS), managing and leading educational development efforts of the organization’s events division and user pay offerings, which included a 12,000+ citywide conference and convention for risk management and commercial insurance professionals. Before joining RIMS, Mr. Chairelli was a Program Event Manager for Microsoft’s US-NY Region overseeing the production and launch of the Office XP, Window, XP, Xbox and Pocket, PC worldwide launch events. 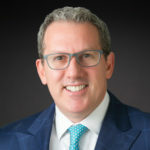 Prior to positions in the conference and convention industry, Mr. Chiarelli was Vice President, Commercial Lending in middle market banking divisions at Chemical Bank, NatWest and Fleet Bank. 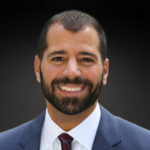 Mr. Chiarelli holds a BS in Banking and Money Management from Adelphi University and is a successful graduate of Chemical Bank’s Credit Management Training Program. Ms. Crispen is the Executive Vice President of Communications and Marketing for SIFMA. Prior to joining SIFMA, Ms. Crispen was Senior Vice President of Communications and Marketing for the Mortgage Bankers Association (MBA). At MBA, she was responsible for MBA’s external and internal communications programs, including directing relations with the national media; developing speeches and presentations for MBA’s leadership; marketing of the association’s products, services and membership; and overseeing all aspects of publishing the association’s monthly magazine and online newsletters. 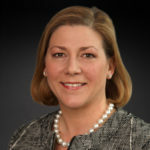 Before joining MBA, Ms. Crispen was Vice President of Public Affairs for the Export-Import Bank of the United States, where she was responsible for developing and implementing strategic communications and public outreach programs, managing the bank’s external and internal communications and developing overall bank positioning. Previously, Ms. Crispen was Vice President of Global Marketing and Communications at JPMorganChase, where she developed brand positioning and direct marketing programs as well as managed global advertising, media outreach, Internet design and content, client publications, speakers bureau, investor relations and internal communications. Prior to JPMorganChase, she was Vice President of Global Communications for The Estee Lauder Companies Inc., where she developed and executed strategic communications and marketing programs. Ms. Crispen has extensive government experience having served as primary media spokesperson for international trade policy as Director of Public Affairs for the U.S. Department of Commerce, where she formulated public affairs strategy for 200 offices worldwide. She also served as chief spokesperson for domestic finance at the U.S. Department of the Treasury, where she formulated and implemented public affairs strategies relating to domestic finance issues such as banking, government securities, the stock market, taxes, the budget and money laundering. She has worked on several national presidential campaigns dealing with media relations, opposition research and advertising. Ms. Crispen began her career at Hill and Knowlton Public Affairs Worldwide and has served on numerous national political campaigns. She graduated from the University of Colorado in Boulder with a bachelor’s degree, double-majoring in international economic affairs and political science. She also attended the University of Pittsburgh’s study abroad program involving travel and study in 11 foreign countries.